Red Bull to be powered with Honda engines next year. Team principal Christian Horner hopes Red Bull's gamble to ditch Renault for Honda engines will fire them back to Formula One glory. 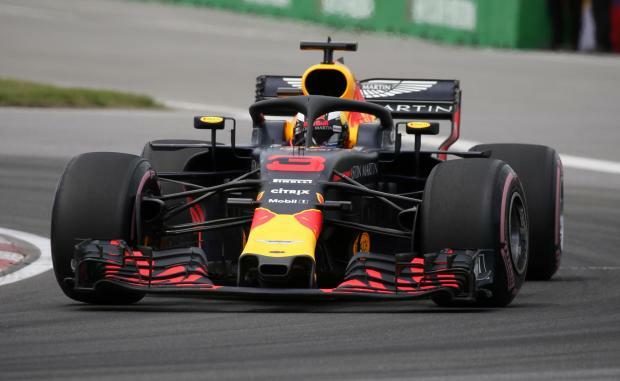 Red Bull confirmed ahead of this week's French Grand Prix that they are divorcing from Renault, a partnership which yielded eight drivers' and constructors' championships, at the end of the year. Red Bull's relationship with the French manufacturer has turned sour in recent seasons, and the former world champions believe a move to Honda power for the next two years will provide them with their best chance of usurping Mercedes and Ferrari. Horner said: "This multi-year agreement with Honda signals the start of an exciting new phase in Aston Martin Red Bull Racing's efforts to compete not just for grand prix wins but for what is always our goal - championship titles. "We have always taken decisions such as this dispassionately and with only one criteria in mind - do we believe the outcome will allow us to compete at a higher level. But the British team's troubles have deepened this season, despite switching to Renault engines, while Honda's stock has risen since they teamed up with Red Bull's junior team Toro Rosso. Horner added: "We have been impressed by Honda's commitment to F1, by the rapid steps they have made in recent times with our sister team Toro Rosso, and by the scope of their ambition, which matches our own. "We look forward to working with Honda in the coming years and to racing together in pursuit of F1's biggest prizes." Sebastian Vettel won four consecutive championships as Red Bull proved the sport's dominant force between 2010 and 2013, but the Milton Keynes team has been off the pace of both Mercedes and Ferrari in the hybrid era.